Jan 15, 1946 – Mr. Kure made a trip to Fayetteville to look at a fire truck; not successful. Mr. Manning reported a ford truck has been sent to Camp Davis for sale. Jan 22, 1946 – A motion was made to photograph the ponds of water and take before the County Commissioners in regards to sanitary conditions in and around Kure Beach …. Photographs of the ponds, ditches and other places of stagnation has been made by Mrs. Weinburg; to be taken to County Commissioners, … along with as many members as possible, especially the ladies, and ….a signed petition. Feb 5, 1946 – Ways and Means Comm: Mrs. Hewitt, Chr, plans of suppers, dances, shows, Bingo, etc. but the question is where these events are to be given considering meetings are now being held in the Chapel. Mr. Weinburg offers his new building for quick use; Mr. Kure offers his building next to Mr. Flowers Store… Suggestions to secure Brakers Hall dance room for the dances. Two turkeys to be donated by Mr. Flowers and Mr. Kure for a turkey supper. Col. Pool asked about trash disposal. Mrs. Weinburg volunteered to survey residents willing to pay to haul away all garbage. Feb 12, 1946 – Mesars Kure, Hers? And Ford went to Ft Fisher to see about a Fire Truck – found a building for $50 that can be demounted and moved; and put on a lot donated by Mr. Kure to house the fire truck and other equipment. Feb 19, 1946 – The turkey supper will be held at Jim‟s Café Saturday night the 23, at $1.00/ plate. March 5, 1946 Mr. Pinkston is trying to secure safety Highway signs to be posted at the intersection. March 12, 1946 – Mr. King reports that at present time the fire truck is being housed in the McManus Garage. As this is to small he suggests the pipe etc be moved from the pump house to take care of truck. Mr. King reports no sirene on truck and suggests we look into this. March 19, 1946 – The siren in Wilmington was not acceptable; agreed to order a streamline flasher type for $16.02. April 2, 1936 – Mr Kure reports that the Tide Water Power Co had approved our proposal but are unable to furnish the necessary supplies at the present time. Mr. Kure states that if we will join him in setting the poles he will furnish the wire and power for temporary lights – to be discussed. April 16, 1946 – Mr. A Nichols, City Mgn of Wilmington offers to sell the fire truck we now have for $1250. Mr. King reports lights on Avenue K now complete. Mrs. Tavis reports a Turkey Supper will be given April 27 at the Sea Gull restaurant. The city manage will accept $1000 for the truck, a cash payment of $600 and $400 to be paid. Mr. Kure reports that the drainage proposal has been accepted (proposal not included). Elaine Henson who gave an entertaining pictorial talk about Major William Snow and the creation of Snow’s Cut in 1929. Elaine has many pictures of Carolina Beach prior to the Cut. The Major graduated from West Point in 1916 as an engineer, came to Wilmington in 1926 and built a lovely home in 1927 which is still an active residence. He was assigned to manage the IntraCoastal Waterway from Beaufort to the mouth of the Cape Fear River. The first bridge to Carolina Beach was a one-lane swing bridge, and that one was replaced in 1962 with the current four-lane high rise. We had a great time “cross pollinating” and sharing stories of many adventures in local history. Leslie Bright won the day with his stories of finding shipwrecks all along coastal NC. 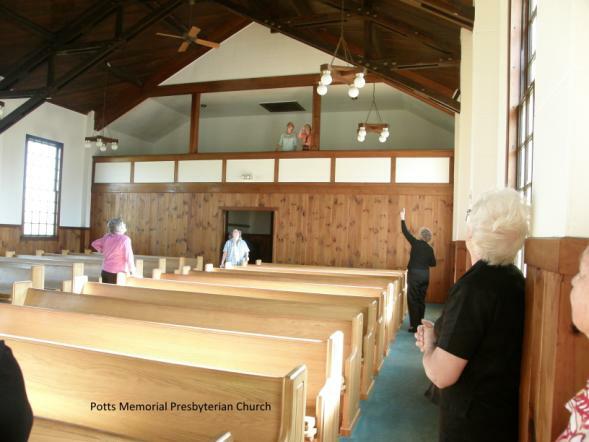 After lunch we set off across country to visit the Potts Memorial Presbyterian Church. We saw their fellowship hall which was originally built here on Federal Point where it served as the chapel for the WWII Air Force Base. Then we toured the beautiful sanctuary building which was originally the church at Camp Davis. Both buildings were taken apart and moved board by board and brick by brick to the Penderlea community when the government no longer needed them. You can even see some of the the markings that the master carpenter made on each piece to tell him how to re-assemble each building. From the church we drove to the nearby Homestread Museum located in one the the original 10 houses. They have done a wonderful job of restoring the building and its out-buildings and have a great many items on display. From kitchen goods and period clothing to pictures of Eleanor Roosevlet’s visit in August of 1937 depression era family life comes alive. If you haven‟t been up there it’s a perfect day trip into a very different and unique era of time. The Federal Point Historic Preservation Society will hold its monthly meeting on Monday, November 16 at 7:30 pm at the Federal Point History Center, 1121-A North Lake Park Blvd., adjacent to Carolina Beach Town Hall. Our program this month will be a showing a section of the video The Kure Family Legacy made in 1991, produced by the Kure Family. Featured in the narration are A.E. “Punky” Kure, Pat Robertson Rice, Mike Robertson and the late Jennie Kure Robertson Bagley. The story concentrates on the early years from Hans Anderson Kure and his wife Ellen‟s immigration to America and the establishment of their family in Wilmington. 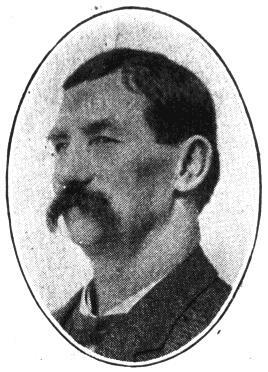 Hans was a ship’s chandler and owner of numerous warehouses and steamers in the early 1890s, when Wilmington was a large and prosperous port. We learn about the first generation, William, Hans, Lawrence, Andrew, and Elene. Invited to join us for the evening are “Punky” Kure, Mike Robertson, and Pat Rice who will answer questions and lead a discussion on the history of the Kure Family. The program is in memory of Jennie Bagley, who passed away in September. She was a charter member of Kure Lutheran Memorial Church, and worked at UNC-Wilmington and UNC-Chapel Hill. Her memories provide a fascinating peek at the early years of the development of Fort Fisher Seabeach, and the Kure Beach pier. Over 50 people enjoyed a segment of the The Kure Family Legacy DVD. The segment covered the very early years of Hans and Ellen Kure’s lives and how they came to America and to the North Carolina Coast. They must have been truly amazing people. 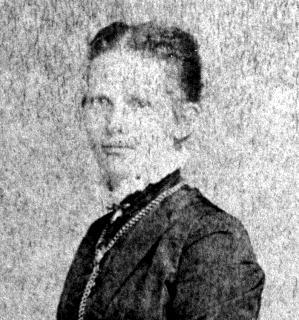 Ellen Kure went from being a lady-in-waiting to the Royal Court in Denmark to raising a family and helping her husband build up his business in the primitive conditions of Kure Beach and the more civilized conditions of Wilmington (Most years they spent summers at the beach and winters in Wilmington) before the turn to the twentieth century. A huge thanks to “Punky” Kure, Pat Rice, and “Curly” Shands for answering questions and adding comentary at the end of the film.